This holiday season, why not bring twice the joy to the world by getting gifts from companies that support the causes you care about? From eco-focused fashion to delicious veg treats, below are businesses that have generously supported FFAC’s work throughout the year. Socially and environmetnally responsible body care and other products. Full-service vegan eco-resort located in Mendocino, CA. Family owned and operated since 1995, GT's proudly handcrafts small batches of raw & organic Kombucha in Los Angeles, CA. 100% vegan food that’s kind to people, animals, the environment, and especially taste buds. “Tomorrow’s creamery”, offering a wide variety of handcrafted, artisan aged vegan cheese and other non-dairy products. Makers of Vegenaise & other plant-based natural products. All produced in their solar powered manufacturing facility. Sustainable, dreamy luxurious yoga inspired collection, designed in SF + hand-dyed in LA. Devala will donate a portion of all sales to FFAC. This holiday season we're teaming up with Stone Pier Press, an environmental press that publishes children's books encouraging compassion for animals. Sprig the Rescue Pig and Gwen the Rescue Hen are both inspired by true rescue stories and include a bonus section of fun, educational facts on pigs and chickens. Stone Pier Press will give 25% of the cover price to FFAC for every book you buy on Stone Pier Press. Just check FFAC during the checkout process. Not only that, you'll receive signed copies of the book and get free shipping. Clean high-protein pet foods that are healthier, better for the environment, and more humane than conventional products. Use code FFAC2018 at Wildearth.com and get 20% off your entire order! Plus, for every bag you purchase, Wild Earth will donate $3 to FFAC’s humane education program. Thirst-quenching beverages infused with antioxidant power and flavored with exotic fruit juices. Organic, gluten-free soups with a variety of vegan options. 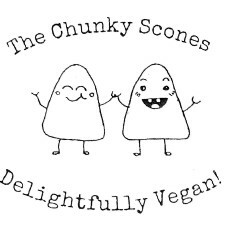 Makers of Dandies Vegan Marshmallows, Teese Vegan Cheese, and Temptation Vegan Ice Cream. Sports supplement company offering vegan protein & other products for athletes & general fitness. Wide variety of tasty, nutrient rich hydration, energy, and recovery products for athletes on the go. Delicious quinoa snacks and staples that support small-holder Bolivian farmers. All-Natural, Vegan & Vegetarian Spring Rolls, Pot Stickers, and Seoul Kim Chi. Family-owned and woman-operated maker of allergen-friendly, healthier food products. Delicious, organic alternatives to your fave candy bars, crafted with house-made, small-batch fillings. Delicious, nutritionally dense snack-foods including kale chips, beet chips and carrot sticks. “America’s favorite candy roll” - vegan, gluten-free, peanut-free, worry-free. Decadent, bite-sized snacks that use nature's superfoods to deliver healthful energy + nutrition. Online marketplace with a monthly snack and beauty box subscription service. The simple goodness of real fruits and veggies baked into deliciously crunchy chips. Traditionally inspired herbal drinking chocolate made from Fair-Trade, regeneratively cultivated cacao. The last dairy in New York City, re-founded in 2017 as an innovative 100% plant-based milk company. Organic, gluten-free, kosher, non-GMO, vegan, soy free & macrobiotic protein & snack bars. A superfood snack company known for their chia seed bars and other nourishing products. A delicious meat alternative. Fiber-rich, soy-free, gluten-free & sourced from farming families in India. Organic and eco-farmed rice products in a sustainable and beneficial manner. On-the-go almond butter and protein powders made with all-natural ingredients. Great tasting plant based protein powders, shakes and bars. Ripple is a nutritious plant-based milk that is high in protein, low in sugar, and delicious. America's #1 coffee alternative made from organic roasted chicory & herbs. Vegan-owned natural foods producer specializing in meat alternatives like jackfruit and seitan. VeganEssentials.com is your one-stop online vegan superstore! Unique whole-grain and gluten free foods for every meal of the day. 100% organic spiralized vegetable noodles and other meal shortcuts. Gluten-free, vegan and organic superfood snacks. Makers of Good Karma Falxmilk and other 100% dair-free products. Hodo is the largest artisan tofu maker and only producer of fresh, organic yuba in the United States. Maker of innovative plant-based products like Just Mayo and Just Egg. Nourishing vegan, organic, raw, cooked and gluten-free foods. Plant-based superfood products that support sustainable and regenerative farming practices. Certified organic juice, tea, coconut water, and superjuices. Gourmet organic chocolates company that supports fair trade and sustainable practices. Makers of over 50 herbal teas created by herbalists for your health and wellness. Gourmet plant-based meals & juices delivered to your door. Vegan-owned business that sells 100% vegan apparel, shoes, belts, bags, and other rad stuff. Handsewn pillows, wall hangings, and quilts, with ocean and nature designs in sustainable fabrics. Vegan, animal rights clothing that is hand printed with water based inks. Dunitz & Company has been offering hip and fair trade jewelry since 1989. Vegan clothing line with veg-themed novelty t-shirts, hoodies, buttons and more. Eco-conscious apparel for the compassionate animal lovers of the world! Retro-inspired vegan apparel & accessories, with a portion of every sale donated to animal charities. “Compassionate living fashion” that includes t-shirts, wallets, belts, bags, and other various vegan stuff. Vegan-owned business that sells vegan footwear, bags, t-shirts, wallets, books and other accessories. Conscious apparel that raises awareness about animal rights everywhere that you go. Holistic, raw, organic and vegan skincare line focused on healing and gorgeous, healthy skin. Natural, simple and empowering skincare products handcrafted in Berkeley, CA. A powerful tool that helps the world eat better, based on the recommendations of food leaders. The travel and culture digest for the graduated vegan, available in digital and print formats. Certified organic skincare products free from harsh chemicals and hormone disruptors. Eco-organic day spa in North Berkeley, using only organic, vegan, non-toxic and eco-friendly products. The country’s best-selling plant-based magazine, packed with today’s best vegan lifestyle content. Premium vegan lip balm made in small, fresh handcrafted batches from the finest raw ingredients. Quality pet foods and supplies at competitive prices, along with personalized knowledgeable service. Vegan dog food that meets or exceeds AAFCO standards and is veterinarian approved. Full-service vegan event planning company that will make your vegan vision a reality. Vegan Outreach is a 501c3 nonprofit organization working to end violence towards animals. Locally owned and operated running shoe and apparel store located in Burbank, CA. Vegan cooking show set in the zombie apocalypse, with a companion top-selling cookbook. A coloring book of funky, beautiful, Black girl magic faces and hairstyles for young African American girls. Vegan restaurant and catering service with locations in San Francisco and Berkeley. Globally inspired plant-based fare in an inviting fine dining setting, located in Oakland, CA. An urban winery, brewery and culinary garden located in the city of Napa. San Francisco bakery serving “guilt free goodies” made with local, organic and responsible ingredients. All-vegan gourmet cinnamon roll shop with locations around the United States. Vegan cupcakes “as unique as you are” with two locations in Oakland, CA. America's first 100% plant based burger joint, with locations in 5 different states. Vegan coffee roastery, bakery, and chocolatier. Now serving Oakland and Berkeley. Offering on and off site catering services, and open for monthly events at their original restaurant space. Pop-up and catering business with specialty coffee and plant-based milks. A neighborhood vegan and gluten-free bistro in the East Bay. Premium fast-casual vegan restaurant with 31 locations along the West Coast. Healing Buddhist Korean vegan cuisine serving Chicago for over 20 years. 100% plant-based fast-casual restaurant serving made-from-scratch, delicious, comfort food. Illinois’ largest independently-owned craft brewery. Brewed in the heart of Chicago. Vegan bakery items and other baked and cooked goods that keep compassion in mind. Hand-made, energy filled jewelry made with natural stones, as well as redesigned vintage pieces. National grocery store chain with unique food and drink from around the globe and around the corner. “Meat Free since 1983” - serving classic diner and comfort food made vegetarian and vegan. Plant-based bar and restaurant that serves healthy, delicious food. Offering boutique lodging in the downtown Chicago Loop district. Tarot reader, artist, designer, and musician. AKA Rebecca Schoenecker. Starship is a fashion forward cruelty-free and vegan friendly beauty salon. Vegan Thai, Asian and other comfort cuisine. Chicago bakery that creates artisan gluten-free and vegan pastries. Raw, gourmet juice and smoothie bar, made with living ingredients that nourish. Specializes in a 100% vegan menu that celebrates all “Chicago Style” comfort foods. Custom cake studio and cupcake shop located in the beautiful Edgewater neighborhood of Chicago. Major department store retailer with locations throughout the country. Serving simple, healthy sandwiches with strong coffee in a diner atmosphere.